Description: Does your heart long to live in God's presence? Do you struggle to maintain a daily relationship with Him? 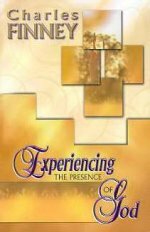 Learn to continually be found in the very presence of God as Charles Finney reveals how you can receive power from on high, rest in true obedience, overcome sin, live in the freedom of faith, and know God's will for your life. Strength to overcome the things of this world can be yours as you daily experience the presence of God.